I just switched to an LTE ISP ...At first I thought maybe Sprint was doing it, but these folks claim that they use AT&T LTE (not sure which band). Anyone wants to investigate, it's called Sardis Telecom (or Sardistel)...name appears to be changing to Fusion. Speed tiers are $69.99 for 25/5, $99.99 for 50/10, and I think a smaller $59.99 package for 10/2. Looks like they are reselling a form of AT&T "Wireless Business Internet" over the LTE network. What speed did you get, and what speeds are you actually receiving? and what speeds are you actually receiving? I paid initially for a 25/5 package...but I'm seeing average speeds of 7 to 8mbps download, and 1 to 3mbps upload. I work for a WISP..we use ubiquiti equipment in our deployment of fiber to air...but he's finally been convinced by me (because I went to basically his competition) to start leaning towards LTE and using that instead of 2.4ghz and 5.8ghz in PTP and PTMP links.. So, he ordered a SIM from someone...not sure who, and also got a Microtik SXT series antenna for the SIM ...and right now i'm testing it at my house with a 25 to 40mbps download, and 12-20mbps upload. I want unlimited speeds and unlimited data on a SIM..and be able to use that in this microtik SXT that I'm testing, or I'll even buy the microtik LHG series if I can find a SIM to use from AT&T that gives me unlimited/unlimited on speed and data allotment. The SXT has a cat 3 radio in it that is a bit fussy if you exchange it for a modern one. RouterOS has rough support for mPCIe/M.2 cards above cat6. By chance. i'd like to speak to you privately (phone, PM, etc)...I have some questions. Looking at getting the LHG series...but I'd like to talk to someone who knows more about microtik than I currently do. I've ALWAYS used UBNT gear...they just don't have any LTE equipment. Hey fren. A buddy out west resells AT&T service in units like you describe. He has been having quite the time as well. I just picked up a couple boards from Mikrotik this week and am flashing with modemmanager or ROOter. I use those firmwares in my own gear here in our lab. 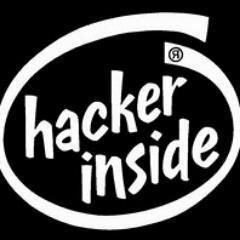 I am not the programmer you are looking for, I just aggregate this stuff to see what I can use to connect easier in tough spots, but my PM's are always open for team UDP if you have any thing you believe I can help with. I know it’s not Sprint, but since a lot of people are interested in Southern LINC on here, I decided to post this speed test. Since converting to Critical Linc LTE last year, my coverage has actually been better than IDEN. Unfortunately the speeds are averaging .5Mbps-3Mbps. They are only able to run 1.4MHz right now, and supposed to run a max of 3MHz once everything with iDEN is finalized. Even with 3MHz, they will be limited on capacity. My experience with their LTE is why I don’t believe Sprint will ever have a roam like home agreement with them. 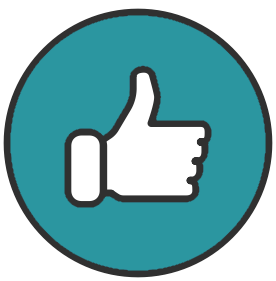 One thing to to keep note of is the intended purpose of Critical Linc. It’s not meant to stream YouTube or Netflix. It’s designed to support the power companies utility workers and provide access to critical data, reliable PTT, and voice/sms. Selling excess capacity to public safety and businesses is just a way for them to recoup the cost of running the network. It is definitely serving the intended purpose for me. I need reliable coverage in extremely remote areas of the state for voice, PTT, and basic internet. Southern Linc serves that purpose like no other provider can. Maybe an 800 MHz spectrum sharing agreement could be reached with Sprint in exchange for a roam like home agreement. This would allow for 10x10 L800, if I remember correctly. Also, quick question—what is the EARFCN of SouthernLINC's current L800 carrier? Maybe an 800 MHz spectrum sharing agreement could be reached with Sprint in exchange for a roam like home agreement. This would allow 10x10 L800. If the T-Mobile merger fails, then that might be their best bet for improving coverage in Alabama & GA. They could offer priority of course to their Critical LINC customers, and then Sprint customers would be able to utilize the excess capacity. In the large areas of the state where Sprint has no coverage natively, they could also let them use 1900MHz for additional capacity at key sites. If they could spin off the Sprint network within the Southern LINC footprint similar to Shentel, that would be great as well. 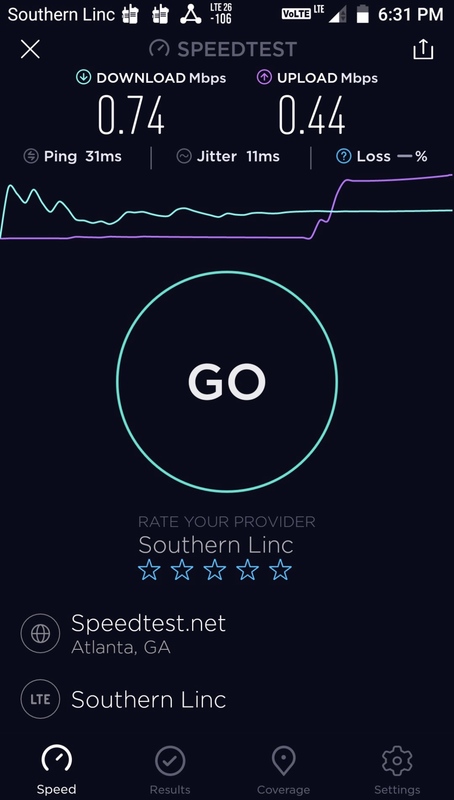 Southern LINC would have to be in charge of the network because their reliability standards are understandably higher than any other carrier i've seen. Right now they have 7 days of backup power through fuel cells and generators at over 99% of their cell sites. They also have redundant backhaul at over 85% of their sites which impresses me a lot. Supposedly if the main backhaul connection fails such as Fiber being cut, the tower will connect via microwave temporarily to keep the site online. Though, Southern Communications which owns LINC has not shown much interest in being competitive at all. I am paying $85 for 5GB right now, though I suspect that is mainly due to limited capacity. Yes. This would be really awesome. Did you have a chance to grab the SouthernLINC LTE EARFCN? I haven't seen the EARFCN change at all. Whoops. My SouthernLINC speed test didn't post earlier so ill repost it. Yea there are definitely some setup bugs they are still trying to work out. Does she have the XP8? I wonder when or if they will add additional phones to their lineup besides the two Sonim? Also, what do you mean by MB? Is it the Sprint Magic Box? If so, that shouldn’t affect Critical Linc at all since they are different frequencies. yes, the XP8. The phone connected to LTE via my MB but not sure on much else. i just know that it was showing LTE signal and it had to be from the MB...as the only other signal around me (in LTE flavor) is AT&T b2, b17 and VZW b25 (and b4?? I think). There are no other LTE carriers in my area except for b41 MB...I'm pretty sure it was the MB supplying it. That’s odd. The only time I’ve seen my LINC connect to Sprint is when I’ve been outside the LINC footprint, and you can’t make voice calls because Sprint doesn’t have VoLTE yet. I am able to force roam onto Sprint within the Critical Linc coverage area, but I lose the ability to make voice calls. Do you know if SoLINC had decent iDEN coverage there prior to LTE conversion. They said LTE coverage should be very similar to iDEN, but I’m sure there are some gaps.